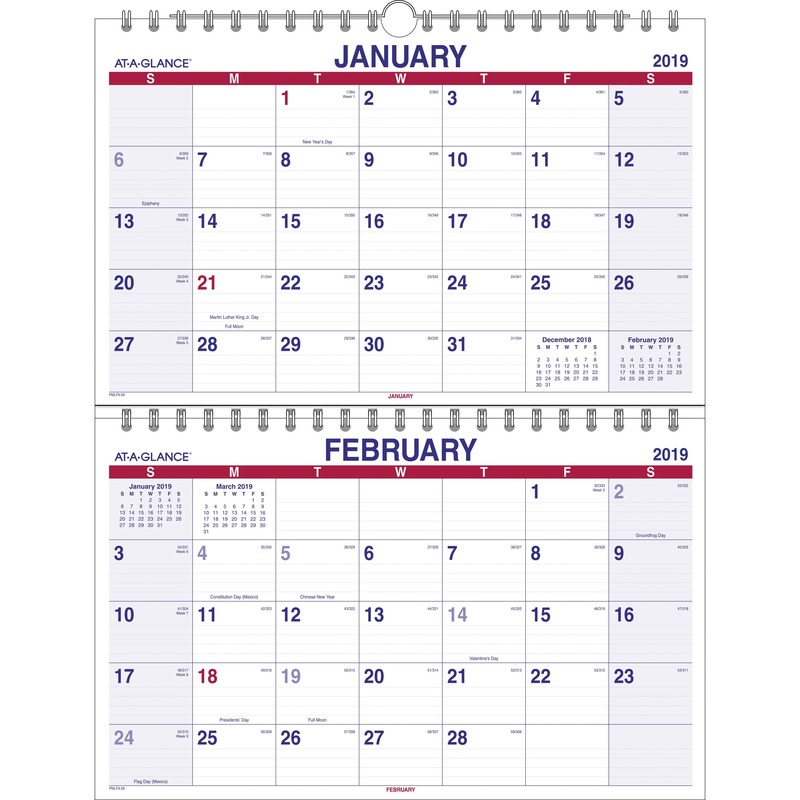 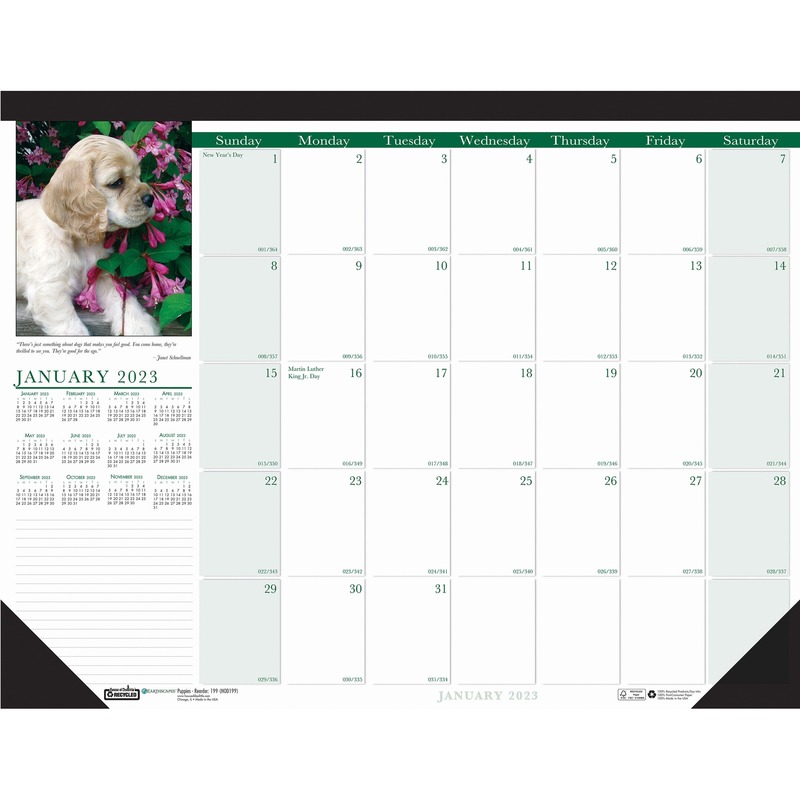 Calendar desk pad offers monthly planning and protection for your desktop with planning pages bound and perforated at the top. 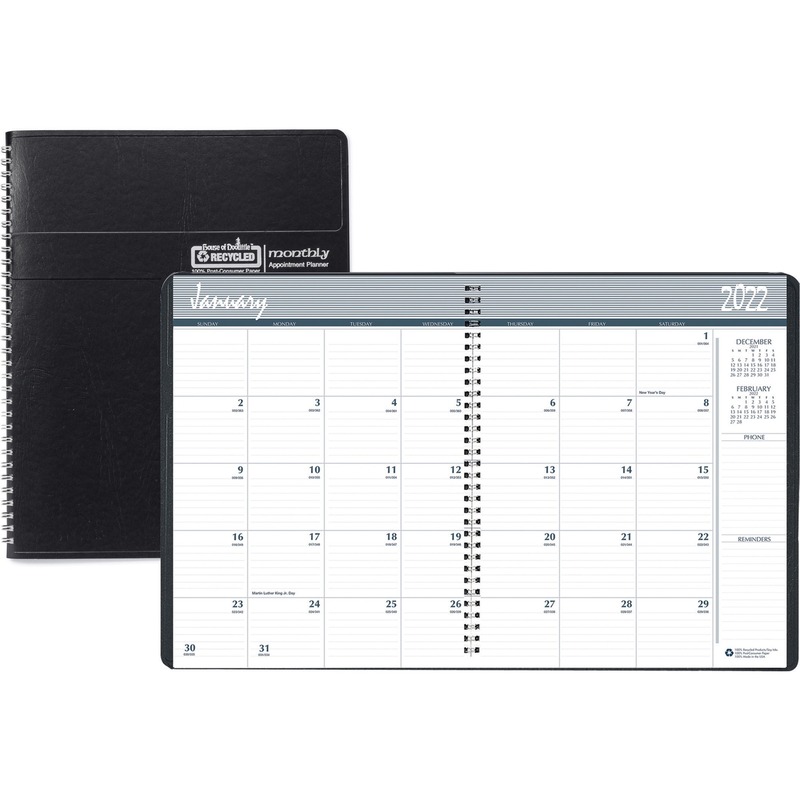 Two reinforced, blue leatherette corners secure pages at the bottom. 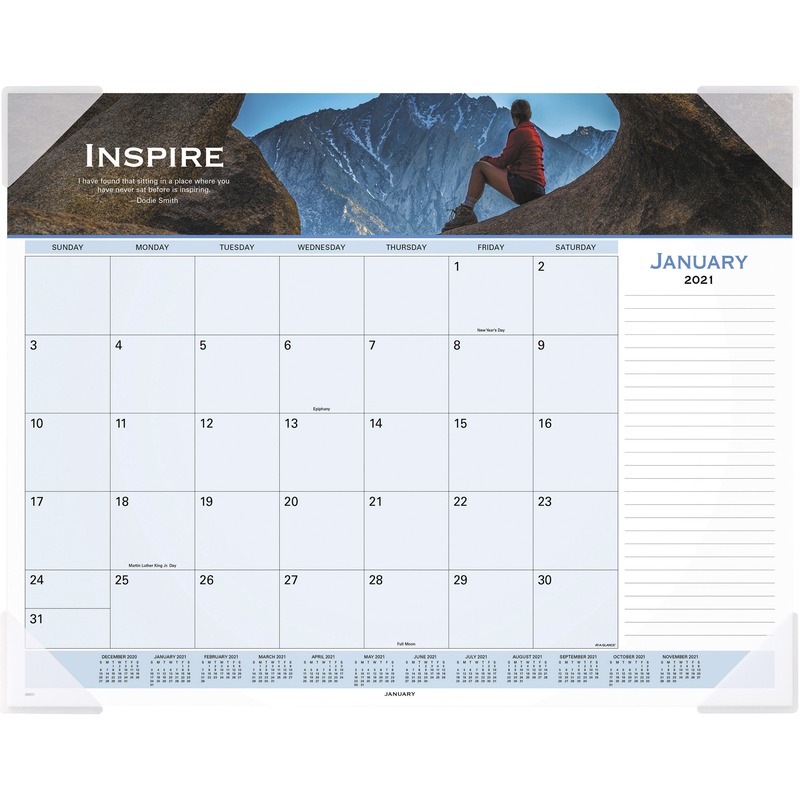 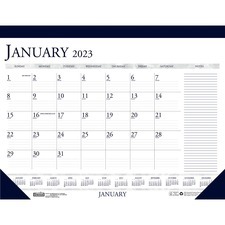 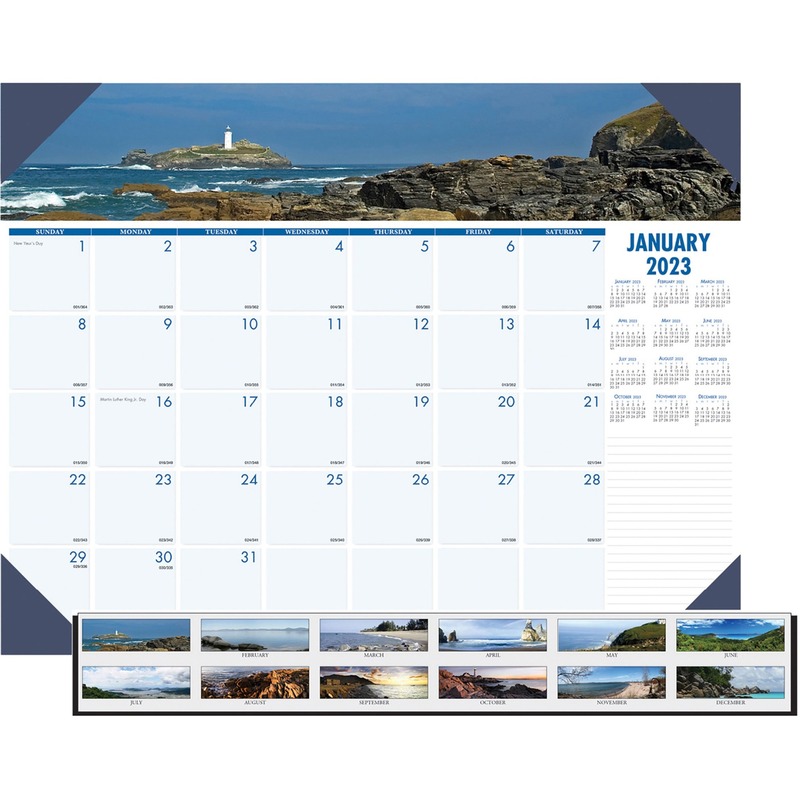 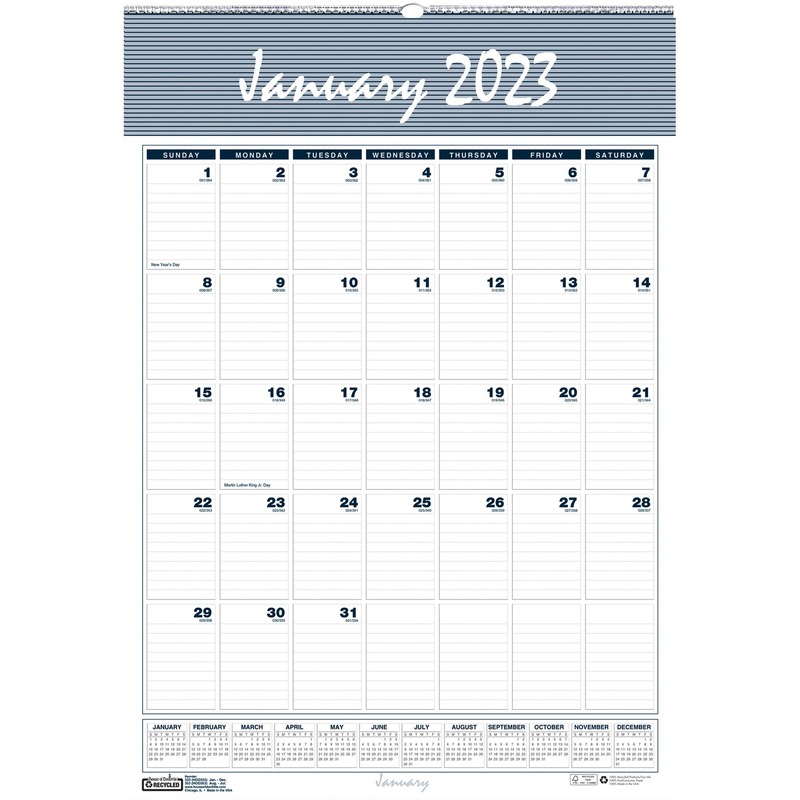 Planning pages range 12 months from January to December and are printed in deep blue and gray. 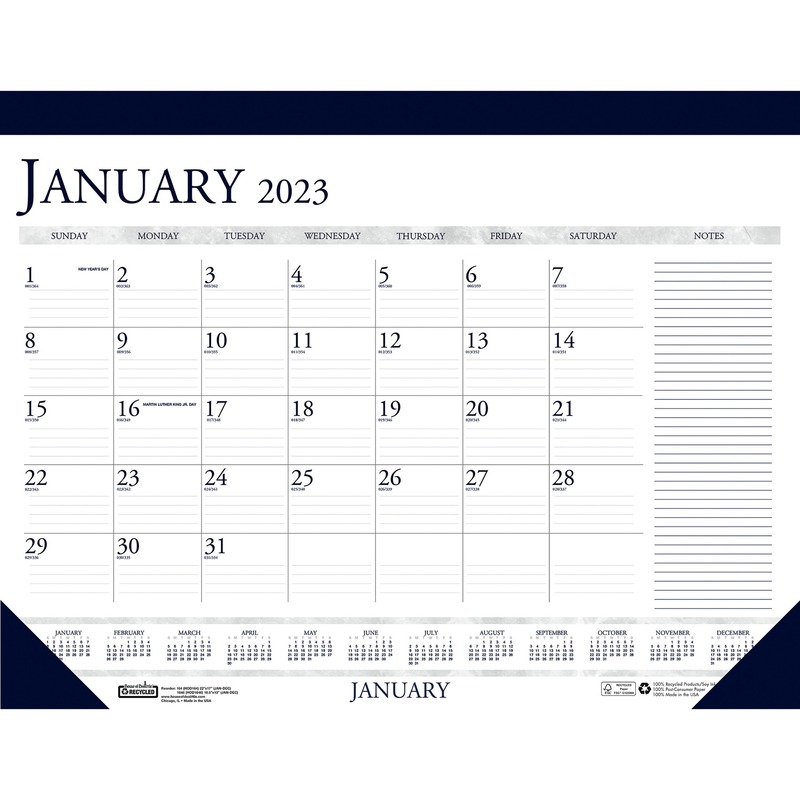 One-page-per-month format includes ruled daily blocks (2-3/8"" x 1-7/8""), count of days/days remaining, Sunday-through-Saturday scheduling, ruled notes area, and a full-year calendar reference along the bottom. 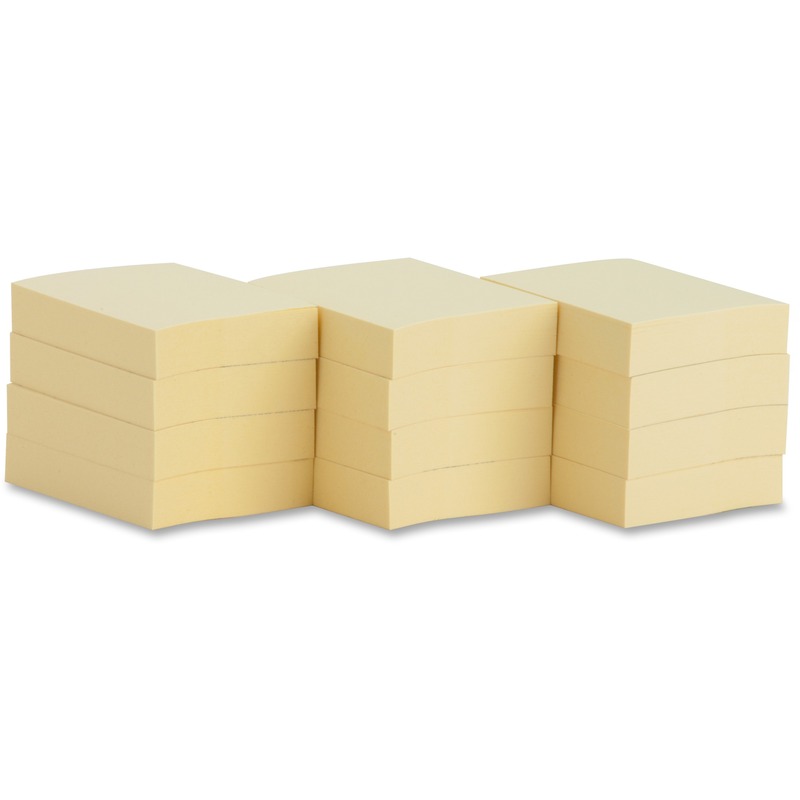 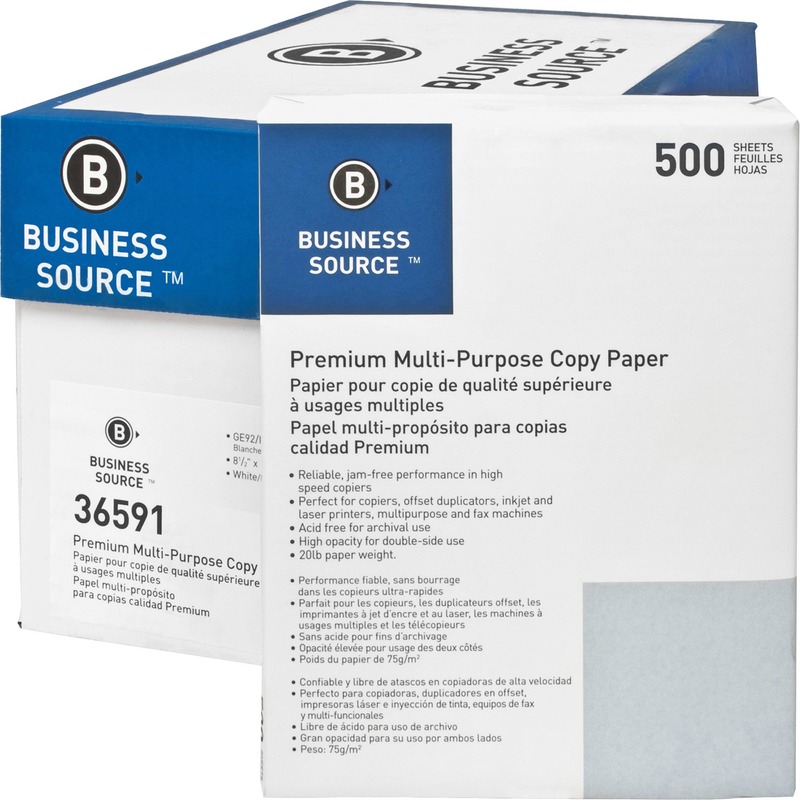 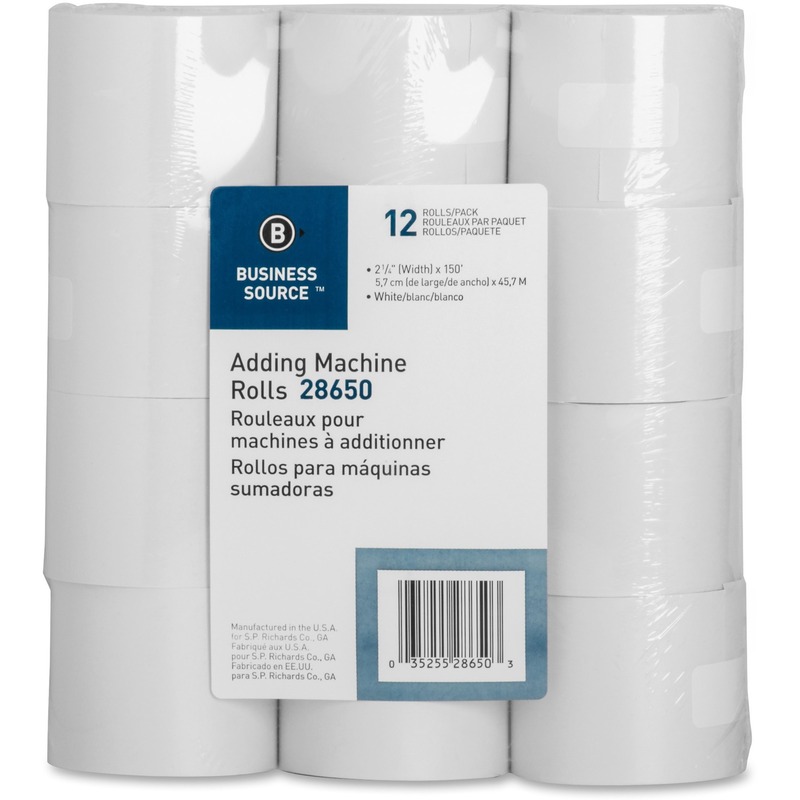 Nonrefillable desk pad contains paper made with a high percentage of recycled material.